As we move into the second month of 2014, it is a good time to reflect and make some predictions on how social media is going to impact brands in the course of the year. Social Media allows small businesses to leverage technology to even the playing field with bigger brands and companies. In 2014, some of the trends we saw in 2013 will continue to rise while others will fall. But it all comes down to how you communicate with your customers, how you leverage relationships, and of course how you share GREAT content. Every website needs to be optimized for mobile. This means having responsive design and thinking about how people interact with your business via mobile devices should be one of your top priorities. As a small business (and even a big brand) it's time to make the switch to a mobile site if you haven't yet, and think about ways that you can get in front of your customers through their phone. Yes, this include Mobile Apps, SMS, and emails that are designed to be viewed on your cellular phone. Creating great content on a regular basis and driving traffic back to your site is going to remain the number #1 way to generate new leads. This means as a small business, if you don't have a blog yet, it's time to start one. We've seen it happen on Google and now it's happening on Facebook. Spammy content is not going to get you anywhere, and the big sites are cracking down. Think about creating valuable content that resonates with your customers. G+ is my new favorite social network. With the search benefits from Google and the increased user base, it's likely that your audience will be making the move from Facebook to G+. Being a step ahead of the game is a good idea. Plus, they are about to launch promoted posts (+Post ads) that will get your content to a larger audience than ever before. Get on Google Plus as soon as possible. Whether it's an educational video or an ad, consumers will look to video content to learn about businesses. Video will continue to create meaningful relationships between business and consumer. Think video customer service here. Oh, and many times they will be watching video on their mobile phone. 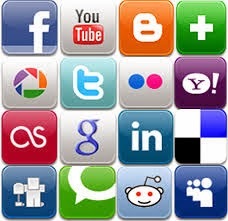 Social media sharing will be get ramped up and everyone and their mother will be doing it. While this is a good thing for getting your content shared, it also presents challenges to get found. The key here is to communicate to your customer directly and relevantly and you'll be found. Plus, it's going to help your search rankings. It's no longer about pushing yourself out there, it's about how you provide value to your customer that matters. Whether this is through blogging, video, or email marketing, in order for people to stay engaged, they have to perceive value.